The Society of Jesus was founded in 1540 by the Spaniard Ignatius of Loyola, a well-bred man who converted late in life. This religious order, whose members were very well trained intellectually and theologically, was particularly characterized by the original system that was established during its missions in Asia and America. The Society is also known for its contribution to the development of higher education through the implementation of high-quality schools and universities in the sixteenth century. The Jesuit order held a position of high importance in the Spanish colony that is todayArgentina. Founded in 1573, the order was immediately established in Córdoba, where it created the country’s first university. In order to finance this important religious and intellectual center, the Jesuits built estancias around the city at the beginning of the seventeenth century. During the same period, they set up in another region, near the Iguazú Falls where they performed missions to convert the Guarani population. In Buenos Aires, just as they had done in Córdoba, the Jesuits took over an entire block of buildings, which they called the Manzana de las luces. There, they built a church and college. It was in these beautiful buildings, located at the corner of the Plaza de Mayo, that the Missions were administrated. In 1750, Spain and Portugal signed a new treaty that resulted in the exchange of seven Uruguayan missions for the Colonia de Sacramento Fort, facing Buenos Aires across the Río de la Plata. The missionaries and their protégés refused to accept the new Portuguese authority that had never supported them. The confrontation between the two royal armies caused many casualties on both sides. In the following years, the autonomy and power acquired by the Jesuits in South America and in the rest of the world turned against them: they lost the support of the Vatican and of other European royal courts. They were forced out of the Portuguese territories in 1759 as well as the Spanish territories in 1767. In 1773, the Pope suppressed the Society and the Jesuits took refuge in Russia and Prussia. The Jesuit order was finally reestablished in 1814. When the European colonizers arrived, the Guarani were a semi-nomadic indigenous population who mainly survived by hunting, fishing and gathering. The language groups of tupi-guarani and karaivé-guarani lived on a large territory, spreading from the Guyanas to Northern Argentina to Brazil to the east of Bolivia. The Guarani villages were settled along the Paraná, Uruguay, and Paraguay Rivers, all the way down to the islands of the delta of the Río de la Plata. They were socially organized in large families sharing a communitarian house, the maloca. The cacique, or headman, shared out the lands and the women to the men who were polygamists. They cultivated corn and manioc, from which they made a fermented drink, the chicha. They also discovered a plant they chew or brew in water, yerba mate. Living in tropical regions, the Guarani lived naked, their bodies ornamented with jewelry and paintings. All of the important life phases – entering adulthood, getting married, birth, death – were ritualized in songs and dances during celebrations. Furthermore, the Guarani strongly believed in life after death and tried to attain Earth without Evil (Tierra sin Mal) with the help of their spiritual leaders. Their anthropophagic habits were what created the biggest cultural shock for Europeans. This cannibalism was based on rituals and was mostly practiced on their Tupis enemies. When the Spanish arrived, the Guarani decided to form an alliance with the strong-armed white men to help them fight their enemies. However, they were quickly dominated by the system of encomienda and forced to work the hardest tasks. The population was then partly decimated by unknown diseases such as the flu, smallpox, etc. When the Jesuits began to settle their missions, the Guarani saw in them a way to escape slavery. After the expulsion of the Jesuits, some of the population returned to the forest where they found very harsh living conditions, whereas others worked for the white or the Creole people. Approximately 3,000 Guarani still live in Paraguay, in the south of Brazil and in the Argentine province of Misiones. It was the Jesuits who transcribed the Guarani language, the only indigenous language to become the official language in a South American country, Paraguay. 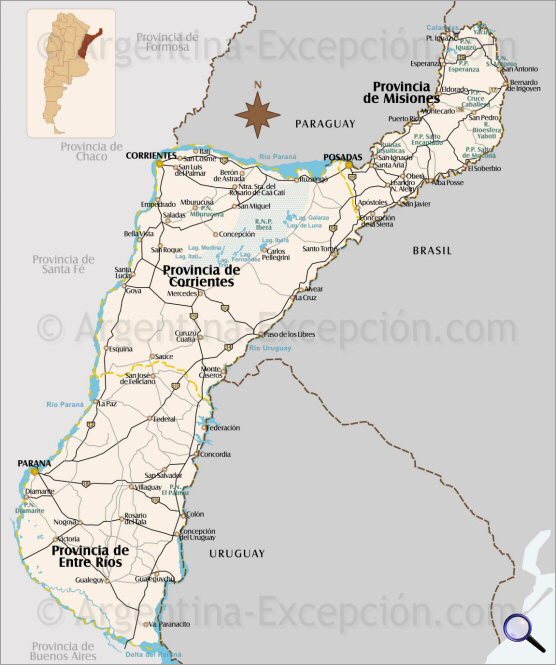 In 2004, it was acknowledged as the second official language of the Argentine province of Corrientes, and in 2006 it was accepted as an official language of Mercosur along with Spanish and Portuguese. 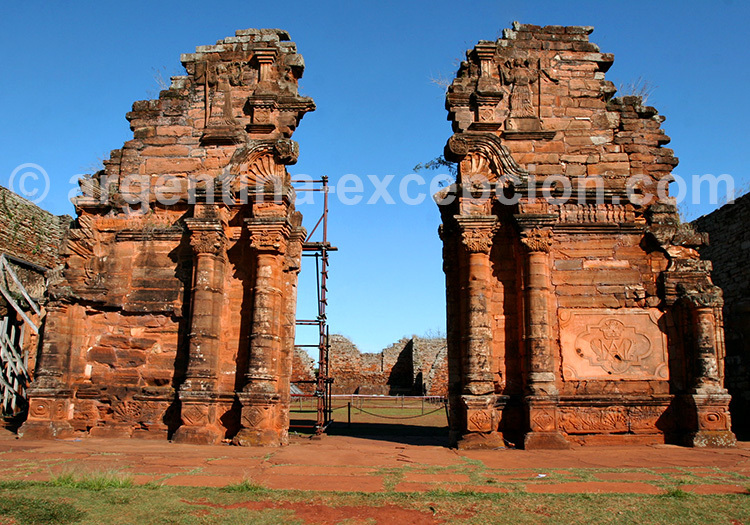 The province of Misiones was named after the Missions that settled in the area. 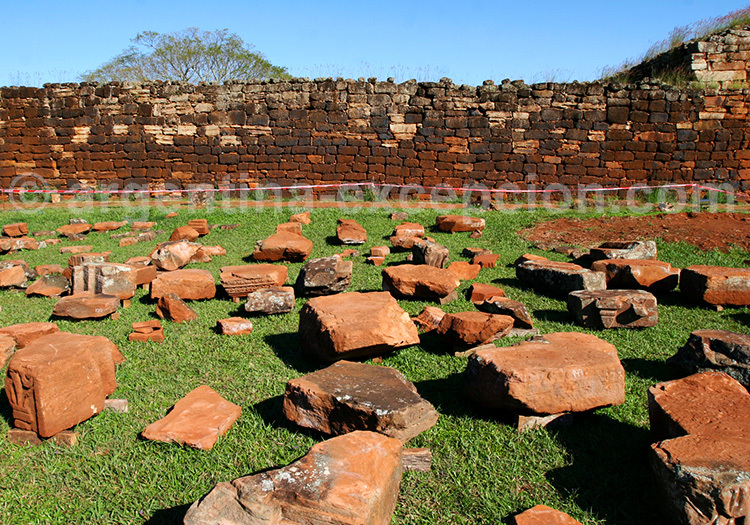 The Jesuit missions of the Guarani are considered to be one of the most important cultural initiatives of South American colonization, according to UNESCO, who listed seven of them as World Cultural Heritage Sites. Four of these are located in Argentina: San Ignacio Miní, Santa Ana, Nuestra Señora de Loreto and Santa María Mayor. 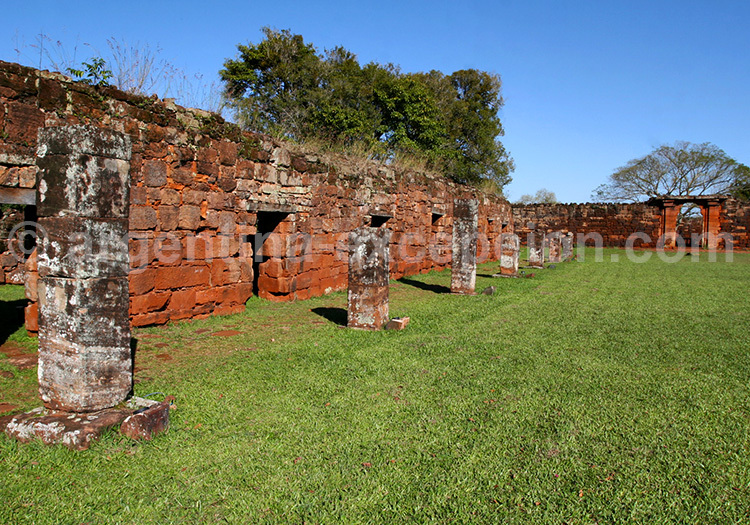 Thirty missions were built along the borders of the Spanish and Portuguese kingdoms (which today are the borders of Argentina, Brazil, Paraguay and Uruguay) between 1609 and 1767, when the Jesuits were thrown out of the colony. In 1551, following the debates of the famous Valladolid controversy, the king of Spain lined up with the Catholic Church, considering all men to be creatures of God, equals, and endowed with a soul. Consequently, the Gospel ought to be spread out to everyone, especially to the South American aborigines. This decision paved the way to the evangelic missions aimed at the indigenous population. It also influenced the decision taken by the Spanish Kingdom in 1609 to give the Society of Jesus the right and the privilege to settle in the Guarani land. This also explains the fight led by the Jesuits against the colonial system of encomiendas, which entitled the colonizers to use the local work force to develop their lands. The first missionaries arrived in Buenos Aires and sailed up the Paraná River on large rafts through the lush and hostile tropical forest. 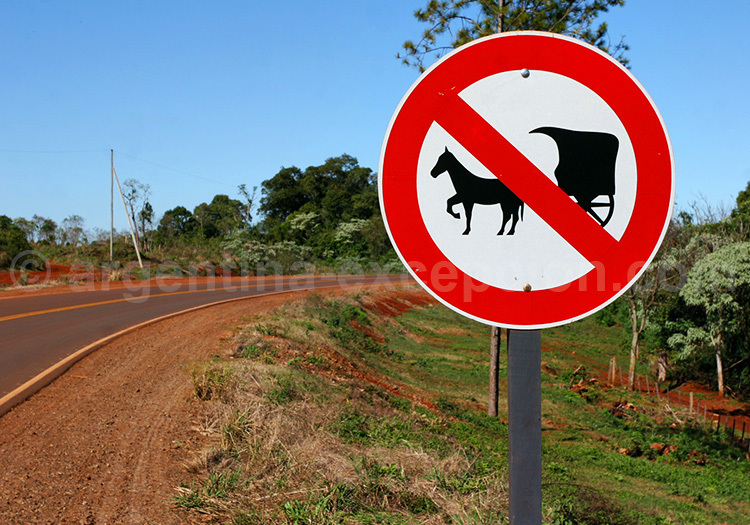 However, convincing the Guarani to abandon their lifestyle and their God was not easy. 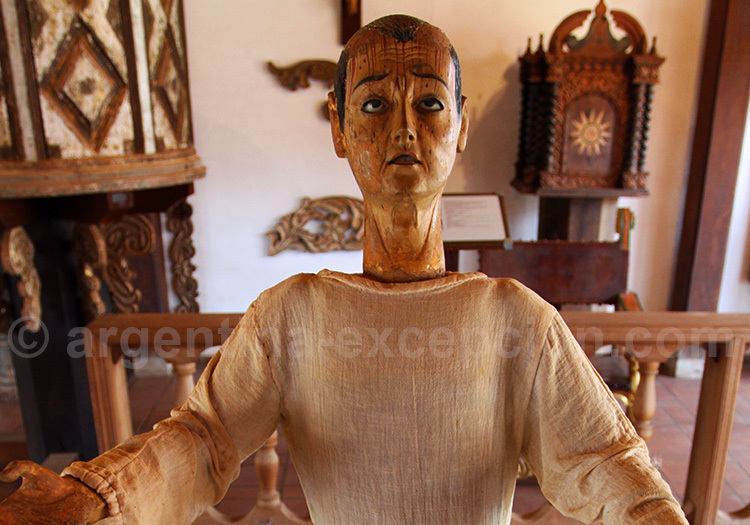 Nevertheless, the Jesuits brought tools, medical knowledge and soon the first crops. Impressed, the caciques followed them. Every mission was settled near a spring or a river and built around a large plaza with a church, the priests’ residence, a school and the Guarani houses according to a pre-established order. The Jesuits called it reducción, after the Latin word reducere, which means: to gather. They therefore gathered the population in order to break their nomadic habits, to teach them to read and write, to evangelize them, as well as to educate them and inculcate their occidental way of life. In the beginning, Portuguese slave hunters regularly invaded the Missions, forcing the Jesuits to move to safer places. The reducciones created by the Jesuits were noteworthy in many ways: although they were under the administrative and spiritual direction of the Jesuits, the Indigenous populations were given a semblance of participation with the election of a council. The reducciones had their own justice and death penalty was abolished. They had a communitarian economy; the inhabitants worked part-time for their family, part-time for the collectivity: farming (corn, cotton, yerba mate, livestock) handicrafts (pottery, ironworks, weaving workshops), etc. A social assistance was given to the destitute. 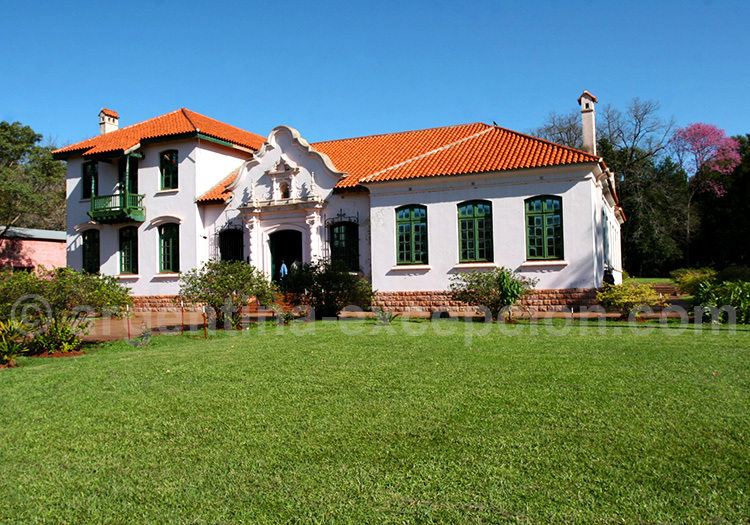 Education was a key part of the life in the reducción and school was given in Guarani language, along with Spanish and Latin classes. Art education was not overlooked and was administered through music and singing schools. The musical talent of the Guarani even bred a specific baroque musical genre. The Jesuit system, based on education and persuasion and taking the Gurarani culture into account, was totally avant-garde at the time and sharply criticized. In the eighteenth century, the missions occupied 350,000 square km of territory and affected over 150,000 South American aborigines: a real State within the State, a social Christian accomplishment, and a utopia that generated more enemies than friends. When the Jesuit order was banished in 1767-1768, the Guarani were expelled from the Missions and the colonizers began to occupy them. The sumptuous churches sculpted by the Guarani craftsmen were sacked, demolished and soon swallowed up by the forest. 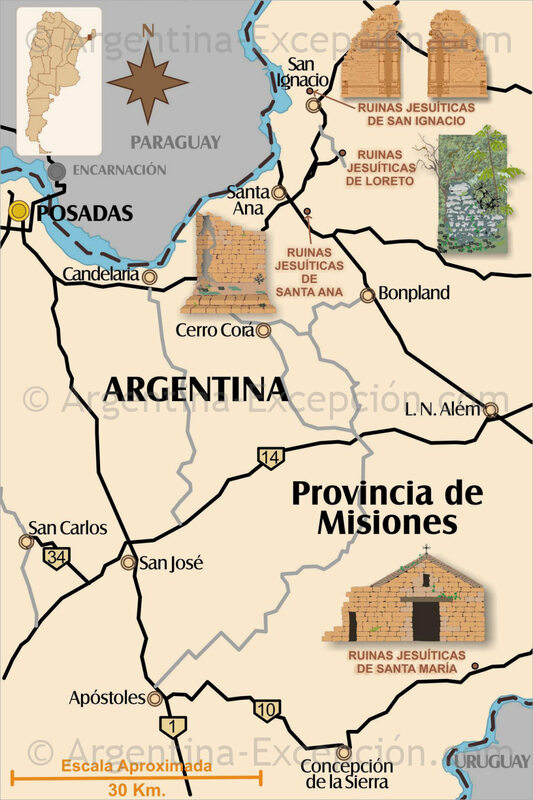 The Jesuit Missions of the province of Misiones are located near the city of Posadas, in the direction of Puerto Iguazú. Of the four missions declared World Cultural Heritage Site, Loreto, was created first in 1610 and then moved in 1631 to its present location, 33 miles away from Posadas. Every mission had its own library, but in Loreto, the Jesuits decided to print their books themselves, in both Latin and Guarani, setting up the first printing-house of the country. Santa María la Mayor was founded in 1626 and moved in 1633. Today, one can still distinguish the remains of the priests’ residence. Founded in 1633, Santa Ana was also moved twice before settling in its current location in 1660, 28 miles away from Posadas. Although located in the middle of the forest, the church had a monumental staircase with marble columns. These four missions are open to visitors everyday from 7am to 7pm. At San Ignacio Miní, a sound and light show is organized in the evening. Hotels: where to stay near to tje jesuit missions ? Estancia Santa Cecilia, Candelaria: located 18 miles away from Posadas and 11 miles from the Missions of Santa Ana and Loreto, this estancia still raises cattle. Friendly atmosphere. 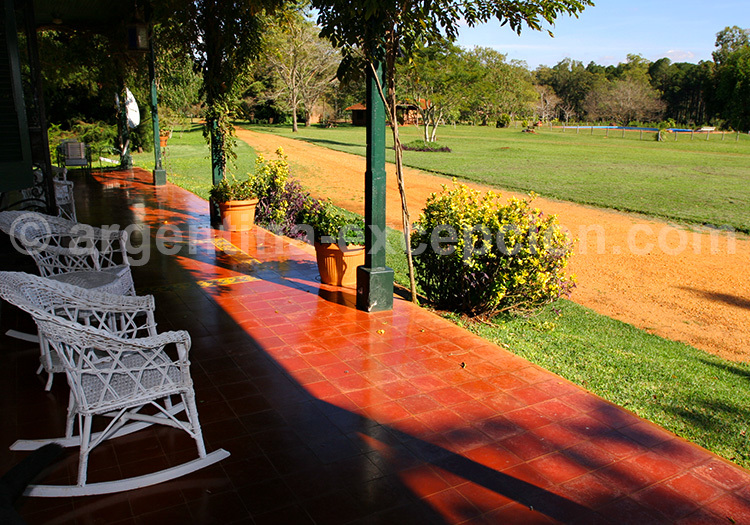 Estancia Las Mercedes, Eldorado : located between the Missions and the Iguazú Falls, this estancia is an ideal stop in the province of Misiones. A livestock breeding farm surrounded by a landscape of hills and jungle. By plane : Aerolíneas Argentinas has daily flights between Buenos Aires and Posadas. By Bus : from Posadas, estimate 5 to 6 hours to reach Puerto Iguazú and over 12 hours to Buenos Aires. 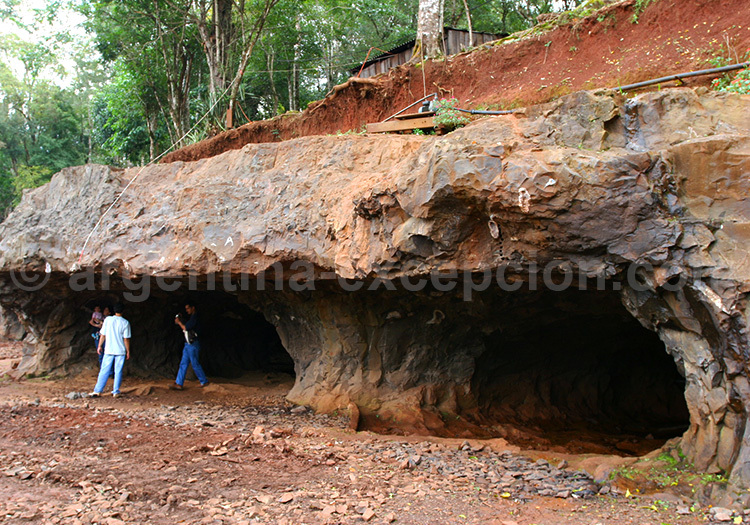 Wanda Mines : 25 miles south of Iguazú, the Wanda Mines were only discovered in 1976, but they are now open to public. On the banks of the Paraná River, semiprecious stones are extracted: quartz crystal, topaz, agate, amethyst and others. You can buy geodes and jewelry. Iguazú Falls : This wonder of Nature is situated at the border of Brazil and Argentina, 150 miles north of the Missions. 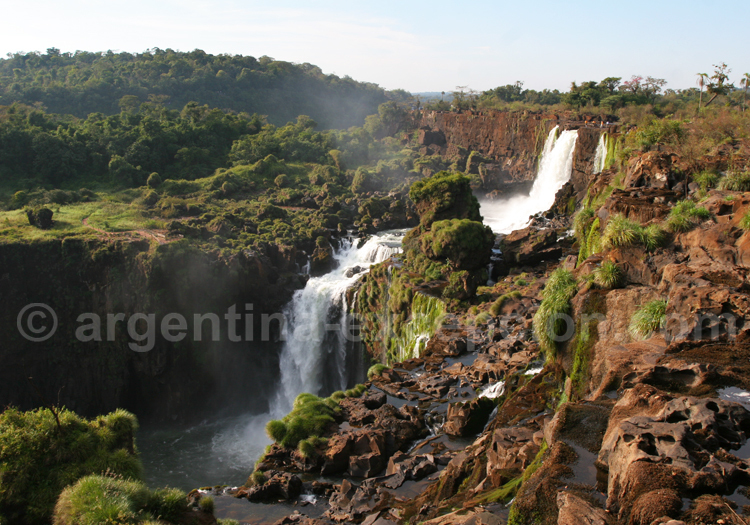 Designated UNESCO World Heritage Site and protected by two National Parks, you cannot miss out on the Iguazú Falls. Moconá Falls : Located between Posadas and Puerto Iguazú, the Moconá Falls are a real natural curiosity: they are formed in the length of the river instead of in its width. It’s a magnificent 32-foot high water curtain that spreads across 1.25 miles of the Uruguay River. Although the site is less impressive than the Iguazú Falls, it is situated in the Yaboti Biosphere Reserve, a beautiful jungle where one can enjoy great excursions. Iguazu Falls, the Missions, the wines and the Northwest : a complete tour with a driver-guide, including a visit to the ruins of San Ignacio Miní, the best-preserved Mission. Travel Iguazu Falls, Esteros del Iberá and the Jesuit Missions : a 10-day driving excursion, making a large loop in the Northeast including a stop at San Ignacio Miní. Category of accommodation: charm.